I strongly believe your home should be a retreat. I will even take it a step further and say your bedroom should be the coziest and comfortable place in the world for just you. We spend a third of our lives in bed, so why settle with a dull bedroom. When I wake up, I want to be surrounded by lovely things that make me happy. This does not necessarily need to be expensive. 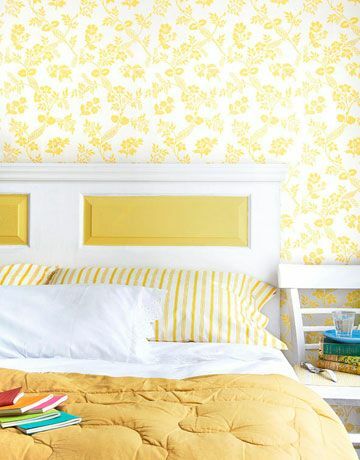 Which is where DIY headboard ideas come in. Make your bedroom the perfect spot start and end your day. This clever DIY figured out a way to turn an old bedroom door into a beautiful headboard. Paint the center panels to give them a bit of depth and it is nearly as simple as that. If you want to wake up in a field of daisies, you should be able to wake up in a field of daisies. Create a floral headboard to always be able to smell the roses. This DIY shows you how to create a house, but you could really get creative and design any shape that reflects your personality. Like a palm tree or anchor. 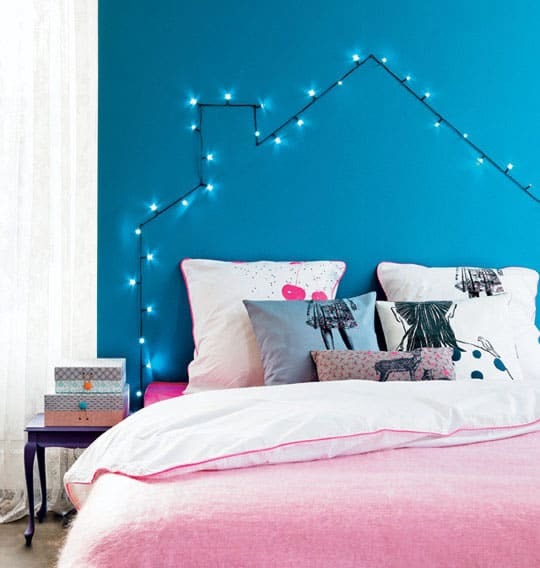 Create that chic headboard we see in all the magazines. Except this one will cost significantly less money. Change it to ‘Love’ or your last name for newlyweds. It will also make the perfect night light or reading light. For the shabby chic home, this idea will make you feel like you are in a charming garden with plenty of fluffy white blankets and pillows. 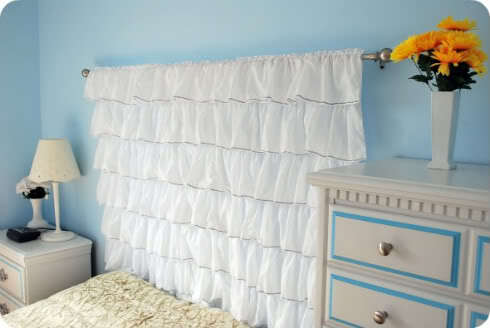 A ruffle headboard is a fun way to add some feminine charm or charming flair. It is fairly simple and gives a nice fresh and clean look. For all the bookworms out there, collect some of your favorites and open it up to your favorite chapter or scene. Wake up reminiscing of faraway lands or motivation that never fails. Not all headboards need to be a fancy creation. A simple backdrop could still be the perfect place for you to wake up to. There are plenty of headboards that show off beautiful wood, go for one that has a bit of flair with some paint accents. Choose your colors, choose your design, and get creative! Create a headboard with some of your favorite upholstered fabric. 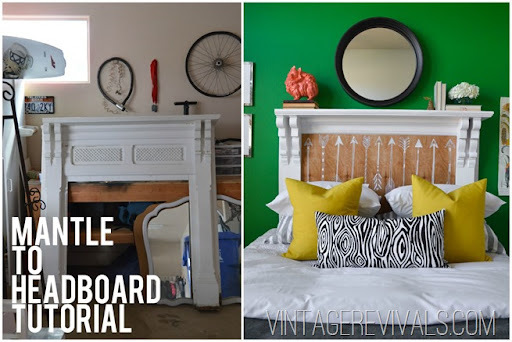 What I love about this DIY, is the headboard makes a beautiful accent piece. I bet you won’t find this one at Ikea! Create a pegboard headboard to hang a lamp, some books, or your favorite pieces of art! I find this headboard incredibly charming. Like you wake up in the woods out of some fairy tale, surrounded by fresh smelling pine! This headboard reminds me of the Palace of Versailles! Ok, maybe it is not that fancy. But it certainly is elegant and chic, without being too much. This DIY helps you wake up to the mountains! While the DIY shown is pretty abstract, with a little bit of creativity I bet you could recreate your favorite peak! Take me to Lisbon where the tiles burst with color! Or Morocco where tiles line the floors, walls, and headboards! This is a beautiful way to accentuate your inner eclectic. If you already have some beautiful tiles you would like to use or would prefer a more simplified look, check out this DIY for an easy option. Macrame is a beautiful way to add some texture to a room, so why not make it your headboard. There are tons of fun designs and you can always repurpose it for another part of your home. Create a bit of an optical illusion with this headboard DIY. I particularly like the fun color this DIY’er painted hers. At first, this looks like a fairly simple and classic headboard, but it actually has a ton of character when you realize it is rope! Perfect for the beach home or nautical themed room. For the DIY’er who likes her projects to shine, this is a fun DIY that will certainly brighten your day. To me, this headboard screams sophistication. I think it would be perfect in a trendy loft or bachelor pad. One shall check out appliance recommendations like top cooling fan, vacuuming appliance, and steaming machine. Now, this wouldn’t be a DIY list if there wasn’t a rustic home option. Well, here it is! Bring the barn in with all of that reclaimed wood glory! If you love all things boho, then why don’t you have this headboard already? Personally, I think it is one of the most unique and beautiful options out there. I truly believe Joanna Gains would be so proud of this DIY’er for using some old reclaimed fireplace and turning it into a headboard. The perfect touch of character! See other DIY ideas you can do yourself like Shoe Racks Projects and Bookshelf. Did you enjoy the list? If so share it with a friend! Also, be sure to leave a comment letting me know what you think. Everyone should start their day on the right side of the bed. 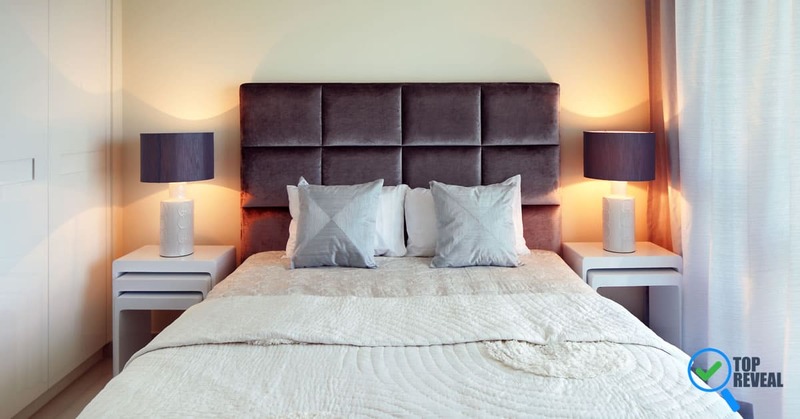 Although when you have a beautiful headboard like one of these, every side is the right side.